This is a Cartoon I did for the NHK educational station. 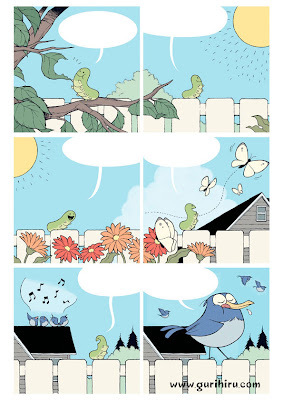 It is a short story of six panels. The Cartoon was recently televised in Japan. It is study English program for Japanese children. Are you coming to SDCC this year? Punch line of the cartoon was a little poor caterpillar.